Painting questions are the most asked questions I get. I can understand why painting confuses people so much — there are so many products and brands available, so many different types of things that people want to paint, and different things that need to be considered for each. What kind of paint should I use? Does it need a clear top coat? How do I apply it? Roller? Brush? What kind of roller or brush? Will it be waterproof? Will it last? I could probably write a 10-part series on painting and still never answer all of the questions that come my way. And interestingly, my answers may be a bit different from someone else who does a lot of painting. Painting is generally one of those things where there’s not one correct answer to the question. I’m one of those people who believes that just about anything and everything can be painted, and as long as you’re willing to put the time and effort into doing the prep work properly, your painted item will last a very long time. But do be aware that no painted item will last forever. Paint will eventually chip, scratch, or just wear off from regular use. The amount of time that the paint will last depends directly on (1) how well the surface was prepped before painting, (2) whether quality paint products were used, (3) the amount of regular use the item gets, and (4) the material being painted. For example, a painted metal door knob (a slick, non-porous material that gets lots of use) on your most-used door won’t last nearly as long as the painted wall (a porous surface that is rarely touched) in the guest bedroom that rarely gets used. Right? I think that’s pretty common sense. So as long as you go into your painting project with some reasonable expectations, and you’re willing to do the proper prep work, you shouldn’t be disappointed! 1. 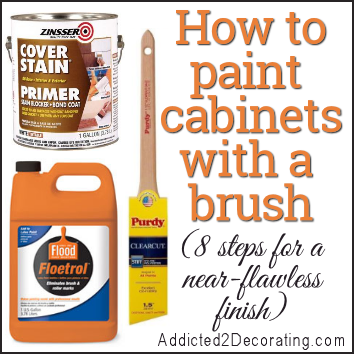 How to paint cabinets and furniture with a brush and get a near-flawless finish. These are the exact steps I used to paint the cabinets in my condo kitchen, and the paint job on those was still going strong when we moved on October. 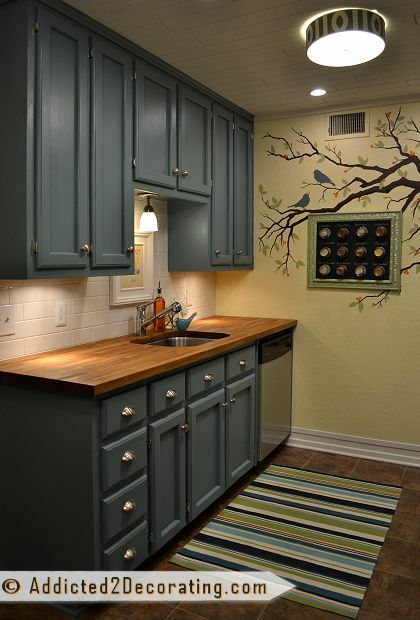 I used oil-based paint on my cabinets, which is always my preference for cabinets. I do use latex paint at times on cabinets, and you can still get a near-flawless finish with latex paint as well. 2. How I paint raised panel cabinet doors. This is the technique I used in John & Alice’s kitchen, and the results were really amazing. The finish looked as close to a sprayed-on finish as you can get without actually spraying on the paint. 3. How to paint a brick fireplace. I’ve painted two brick fireplaces — in my mom’s living room, and in John & Alice’s living room — and while it’s a bit time-consuming (that brick soaks up a ton of paint! ), there’s nothing difficult about it. I painted my mom’s fireplace almost nine years ago, and it still looks fantastic today. 4. How to paint a brass fireplace screen. As much as I now love brass, these old brass fireplace screens are still a bit much for me. I think they look so much better in black, and they’re not difficult to paint at all. 5. 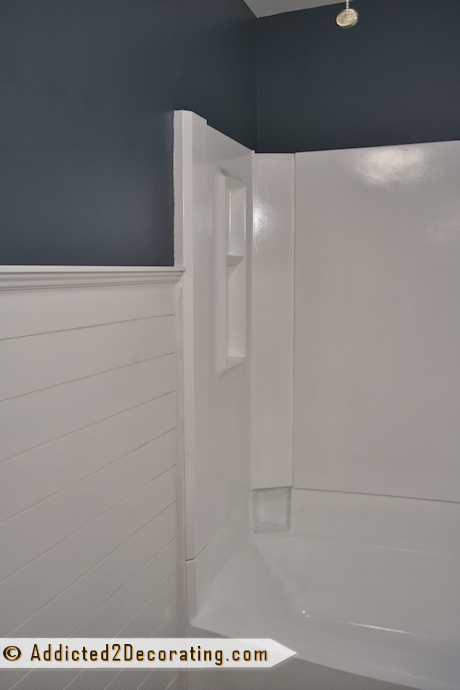 How to paint a bathtub and tub surround. I did this at the condo with our fiberglass bathtub and tub surround, but you can also paint porcelain. They key is in the prep work. I painted ours in February of last year in the bathroom that I used regularly, and it still looked perfect when we moved out in mid-October. 6. How to paint bathroom faucets and shower enclosure frames. Yes, it can be done. But no, it’s generally not a permanent solution to ugly faucet problems. I do think that this is a great “in the meantime” solution if you have outdated faucets or an orangy brass shower frame, and you’re planning a remodel in a year or 18 months or so and just need a fix until then. Again, the key is the prep work. The less prep work you do, the shorter the amount of time the paint job will last. And the good news is that if it chips in the meantime, doing touch ups is quite easy. 7. How to give metal an antiqued finish. 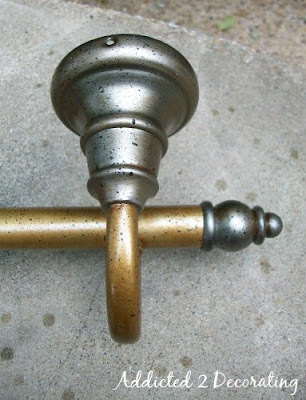 This technique can be used on plain light fixtures (or any other metal item) to turn plain metal into an antiqued metal. I did this several years ago on the light fixtures in Gwen’s bathroom. So that’s everything I’ve covered so far. Now here are a few more questions that I get asked quite often. 1. Is it possible to paint melamine cabinets (cabinets with a hard plastic-looking veneer)? Yes. But again, the amount of time the paint job lasts is directly correlated to the amount of prep work you put into it. I would always suggest sanding first just to rough up the surface (wear a painter’s respirator!! ), and then use a quality oil-based primer. 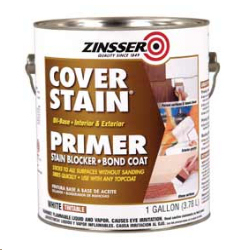 I personally use Zinsser oil-based Cover Stain on just about everything. And on the can, it says that it’ll stick to anything without sanding. But even still, I would never paint something as slick as melamine without roughing up the surface a bit (or a lot) first. The slicker the surface, the more prep work you need to put into it before painting. Once you prime with oil-based primer, you can paint with your choice of either oil-based paint or latex paint. For kitchen cabinets, my choice is generally oil-based paint for its durability. 2. How would you paint a countertop in a kitchen or bathroom? I’ve seen people use regular latex paint, spray paint, or oil-based paint on countertops, but I personally wouldn’t use any of those products. Countertops that see a great deal of use would probably be better off being painted with a specialty product formulated specifically for use on countertops. I’ve personally never used any of them, so I can’t give a personal opinion on how well they hold up. But I do know that Rust-Oleum makes a countertop refinishing product, available at Home Depot and Lowe’s, and just recently I came across another product called SpreadStone that looks pretty amazing. Again, I’ve never used either of these products. 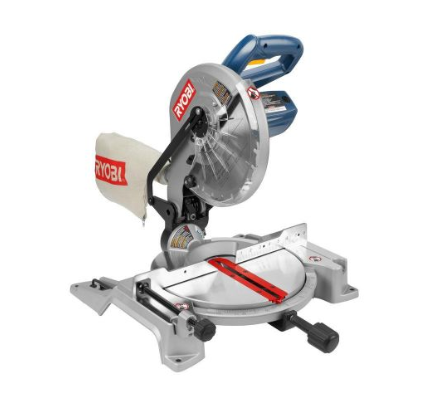 But if I were going to paint a countertop, I’d definitely use one of these since they’re specifically made for that purpose. 3. Have you ever painted a concrete floor? Yes, I have, and I would never do it again. When Matt and I first moved into our condo, I removed all of the carpet and vinyl flooring, and painted the concrete. I used Behr concrete paint, and I followed all of the instructions to the letter. The immediate results were pretty great! After a couple of months, the paint started to wear off in places. I called Behr, and they assured me that that wasn’t supposed to happen. They sent me new products at no cost. Unfortunately, they didn’t send someone to do the work. That part was still on me. So I stripped the entire floor and started over, again following the instructions to the letter. A couple of months later, it started wearing off again. That’s when I decided to go with the groutable vinyl tile, which I ended up loving. After my own very frustrating experience, I would never recommend painting a concrete floor to anyone. 4. How do you know when to use a clear coat over the paint? When I paint with oil-based paint, I never use a clear coat over the top. Oil-based paints dry to a hard finish, so I’ve never found that a clear coat is needed. When using latex paints, I find that I almost always have to use a clear coat when painting table tops, shelves, or any other horizontal surface that items will be placed on. Latex paints, even when dry, very often still have a “tack” to them. You can place an item, like a lamp, on the dry surface, and leave it for a few days, and then when you move it you’ll notice that it’s stuck to the surface. I don’t know if it’s a climate thing, but sometimes that slight tackiness in the paint just won’t go away on items that I paint. That’s when I use a clear coat. They key is that you must find a non-yellowing clear coat, which generally means using a water-based product, like a water-based polyurethane. Oil-based polyurethanes have an amber color to them that will ruin the color of your paint. I think I’ve covered the most-asked questions I’ve gotten lately, but since I get so many painting questions, I’ll probably just link this post over in the sidebar and keep adding to it as I get new questions. That way, all of the info will be in one place (or accessible from one place). Oh…and I just remembered a big one that I get asked VERY often! “Why don’t you use chalk paint?” I’ll add that answer soon. 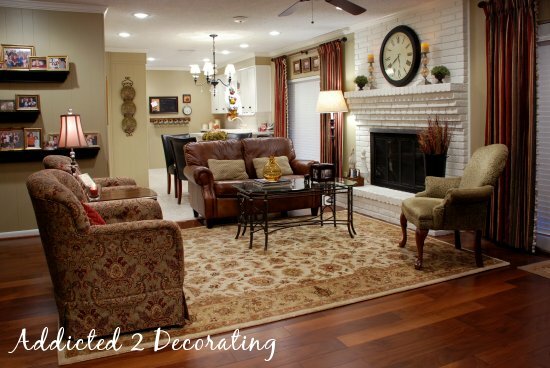 Next Post Q & A--What Foyer Paint Color Will Coordinate With This Living Room? Perfect timing!!! I am getting ready to paint my kitchen cabinets . This will help a bunch!!!! 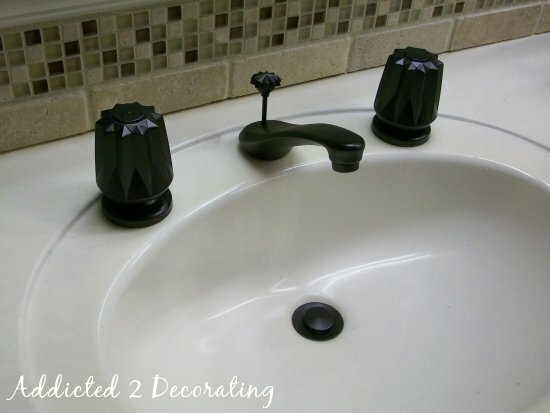 Thanks for posting your painting tips all in one convenient place for us Kristi! I painted my kitchen table/chairs 1.5 years ago with white latex-base paint & followed up with a poly finish. I used an oil-base primer. I put so much time into the project and it looked beautiful for a while, but, now it’s pretty dinged up, with some chips in it, and the table definitely has a yellow tinge to it now compared to the chairs (which are WAY dinged, but still “white” but I didn’t poly them.) The whole project was so time consuming, I’m wondering if it’s even worth it to do again. BTW, it gets direct sun which triggered the yellowing surface & we use this table non-stop. Also, the newspaper leaves newsprint marks on it so easily! Argh! So, if I do tackle this, I am thinking I need to strip it all to the bare-bones, and start again but with oil-based paint. The table is one-of-a-kind that I found on CL–kinda looks like a fancy octagonal poker table. I’ve always wanted to try chalk paint, but we don’t have a carrier in my town, but maybe that’s to my benefit since you don’t like it. I’ll be waiting for your post on that! Thanks for reading my ramble! I have a small wallpapered bathroom that I need to paint for resale. Any thoughts on painting over wallpaper? I’ve read a post by Kristi on painting over wallpaper on this blog. I’ve painted over both paper and vinyl wallpaper. I made sure the wallpaper was stuck firmly to the wall before I painted, then filled the seams with joint compound and sanded them smooth. I used two coats of good quality latex paint and it lasted for 10 years before we moved. As Kristi said, prep work is the key to a successful paint job; be sure the walls are clean before painting; any grease or oils will make for a splotchy finished job! I think you should high-light and underline the sentence about using a water-based clear coat rather than oil-based. it should be in all CAPS to emphasize the oil-based will leave an amber color. I learned this the hard way on not only my kitchen cupboards but also my piano!! Oh the fristration!! The good news is that I can laugh at it now and they ended up looking better after I redid them than my first attempts anyway. On #3: I painted my garage floor, which is concrete, with a kit from Lowe’s. The result was nice-looking, but only a few months later, it started peeling in the places where car tires rest on it. It’s not bad enough that I’m in any hurry to strip the whole thing off (Kristi, how difficult is it to COMPLETELY remove paint from concrete? ), but never again am I painting another garage floor. My neighbor has a tiled garage floor, which is pretty neat-looking. (Perhaps not surprisingly, he’s also a motor enthusiast.) If I ever care enough about the appearance of garage floors, I might go that route instead. How do I paint a metal kitchen door.? I painted our laminate/melamine kitchen cabinets 2 yrs ago and they still look great. No chips or wearing of the paint. I did lightly sand them and used a liquid deglosser also. I used Glidden Gripper latex primer and Behr latex paint (3 coats). I followed up with 3 or 4 coats of my favorite Rustoleum matte finish poly (my cabinets are not white so yellowing has not been an issue). I did sand very lightly after the primer and between each coat of paint. I have painted both my concrete front stoop and my basement laundry room. Both times I used a tinted primer and then paint from Home Depot. I have had to repaint due to constant use through the years but overall I am happy with the results. Regarding painting countertops, I did mine using ” Giani Granite”. It a process but looks amazing and they have differnent color pallets you can pick. Thanks for this info as it really does help. I think it is because she doesn’t skimp on the prep work as so many of us do. You have an amazing ability to pain almost anything and it comes out beautifully. THanks for all the links to your painting. I’m going to attempt to paint our kitchen cupboards this summer and I know these will come in handy. I am wanting to paint the top of my kitchen table. It is very worn looking and the wood color is coming off in places and turning white. This table is our main eating area so I wanted to make sure it can be easily wiped off/cleaned and not harmful with silver ware and food on it. I’d love info on your ideas for this too. I’ve been planning to paint my kitchen table and chairs for a year. I even bought Chalk Paint to do it, but can’t make myself get started and haven’t decided if I want to paint the top or stain it. The problem right now is that its’ a very dark wood color and the top has been scorched by pizza boxes and hot plates. I have tried everything to get rid of the scorches but to no avail. I would love your thoughts. I do have another paint question. What about painting over items that have already been painted? The previous owners of our house painted the kitchen cabinets a few years. They are already chipping and are a terrible color. I’d like to repaint them, but I’m not sure if I should strip the paint or just paint over it. Any tips? Great article about how to paint anything for somebody like me who can’t paint anything. Well, I can paint some things, but the chore for me is the prep. Thanks for the reminder to take a few minutes (hours, days, weeks…) to do the prep. Of course, you know I love your blog! Great tips Kristi! I have often used oil for cabinetry as well but have found that over time my whites look a little more yellow then they did at the start. Any tips for that? Kristi, many years ago I remodeled our house which necessitated redoing the floors in a foyer. To save money, and because I liked the look, I decided to paint the concrete in a faux travertine marble pattern. I removed the vinyl flooring, scraped the floor smooth to get all the adhesive off, cleaned them thoroughly with TSP (tri-sodium phosphate), and then used 1/4″ masking tape to tape off the floor in a diagonal pattern. I then sponged different ’tiles’ in varying shades of cream, yellow, and brown latex paint, and let them dry. I removed the masking tape, which left ‘grout lines’, and coated the whole floor with 3 coats of clear acrylic polyurethane, allowing each coat to dry thoroughly before re-coating. This was a foyer, used every day, with four kids tracking in mud, water, etc, from outside, and it was still going strong when we sold that house 4 years later. The realtor was surprised when I told her it was paint over concrete, and commented that it looked just like travertine marble. I think the key to this project’s success was thorough cleaning beforehand and the 3 coats of polyurethane for the top coat. It sounds time-consuming, but it went really fast since sponging the latex paint and the acrylic polyurethane dried fast between coats. I’d recommend this procedure to anyone! A comment on painting concrete floors. While debating the idea of using concrete stain or paint, a young man who worked at the hardware store where we were suggested we use ordinary wood stain instead. Admittedly, the color options are not as varied but the end result was great. We chose a mahogany color and stained an unfinished concrete floor, finishing it with three coats of polyurethane for a high gloss. I highly recommend this technique, especially for anyone who hasn’t attemted this process before and is intimidated by all the products involved. Great information, thank you. I do think I will try oil based paint, though I never have. Do you have suggestions for painting oil based over latex? Actually, in my case it may be oil over latex over oil, oil, oil, and lead…in my 1922 house. 😉 but really I’d appreciate just oil over latex if you’ve ever done that. Second question: is the color on your kitchen cabinets in the condo really gray? On my screen it looks grayish blue. And my third and perhaps most burning question…could you address your choice to use Behr paints and your experience with them? Early on in home ownership I got advice to use only big name paints, and I’ve mostly used bmoore since then. But it’s very expensive, and if you haven’t noticed a difference, I’d love to hear about that. I apologize if you’ve been asked and answeredv these questions before, I try hard to read your responses to others before asking because I know you get asked so many questions in repeat. Thanks! These tips are exactly what I needed. I’ll be the first to admit I don’t pay enough attention to the painting stage of a project (I do a lot of kitchen remodels). I had planned on painting our garage floor soon but after reading about your experience painting concrete, not sure if I want to try now. Has anyone painted the exterior brick of their house? Any tips? How often do you have to reprint it?